Citiguard™ specializes in providing the security services that you need to be able to focus your energy upon your business. The concern at schools is first and foremost the safety of the students and the staff. By having an on-site security guard, Citiguard will deter most predators and make the students think twice before starting trouble with other students or even staff. Unfortunately, there have been way too many crimes at schools. Our security guards have been highly trained in complex areas and are ready and willing to secure the safety of your students and staff. Citiguard employs both armed and unarmed security guards. Our security consultants will sit with the Administrator and learn the rules of the school. Be friendly enough to students so they are comfortable with the security guard but stern enough so the students know the security guard is there to protect them and their peers. Citiguard sets itself apart from the other companies by giving their security guards a unique training course that specifically deals with the legislation and school environment. Don’t wait for a tragedy! Start protecting your students and staff today with Citiguard. Our security protection consultants at Citiguard are highly educated and experienced with over 50 years of experience. Citiguard offers armed and unarmed security guard services day and night for foot patrol, vehicle patrol or golf carts with three different uniforms to choose from. We are committed to our clients’ specific needs and tailoring services accordingly. Citiguard provides on-site private armed guard services to protect you and your business We stand behind our clients to help ensure the utmost in armed security guard protection. Specializing in custom security plans to fit your specific situation and location. 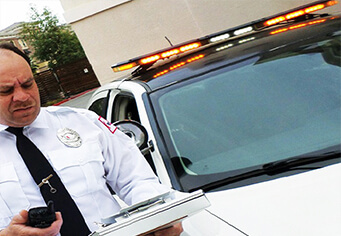 Citiguard provides a wide variety of security guards at Los Angeles. Custom security solutions are available upon request, we will meet your security guard protection services at very competitive rates.